One of my favourite parts of Christmas has to be all the festive films and TV shows that appear from about mid-November. For a good few weeks now I've been working my way through watching what are some of the best Christmas films, in my opinion. Every year me and my family love settling down to watch our favourites and honestly ever since we got a Panasonic TV a few years back our viewing experience has improved so much, it's the perfect size to watch films on! I thought today I'd share some of my favourite Christmas films that I like to watch as well as some of the Christmas TV Specials that I'll be circling in the TV guide this year. The Polar Express is a big favourite of mine and every year I'd say I watch it probably about 4 or 5 times over the festive period! To me it just never gets old and it is truly one of those magical films that always leaves you feeling very warm and merry. One film that I think just about everyone will be familiar with is ELF, I'm probably right in saying that it's a favourite for a lot of people. It's a funny and really sweet film and also a really quotable one! This is another that I end up watching loads of times in the run up to Christmas, I never get bored of it. My last favourite is one and me and my Mum love to sit down and watch together, it's The Muppet Christmas Carol. There is just something about this film that I adore, the songs are probably a big part of that and it's one of those films that leaves you smiling at the end. As well as watching films at Christmas I also love sitting down to watch the usual TV specials. 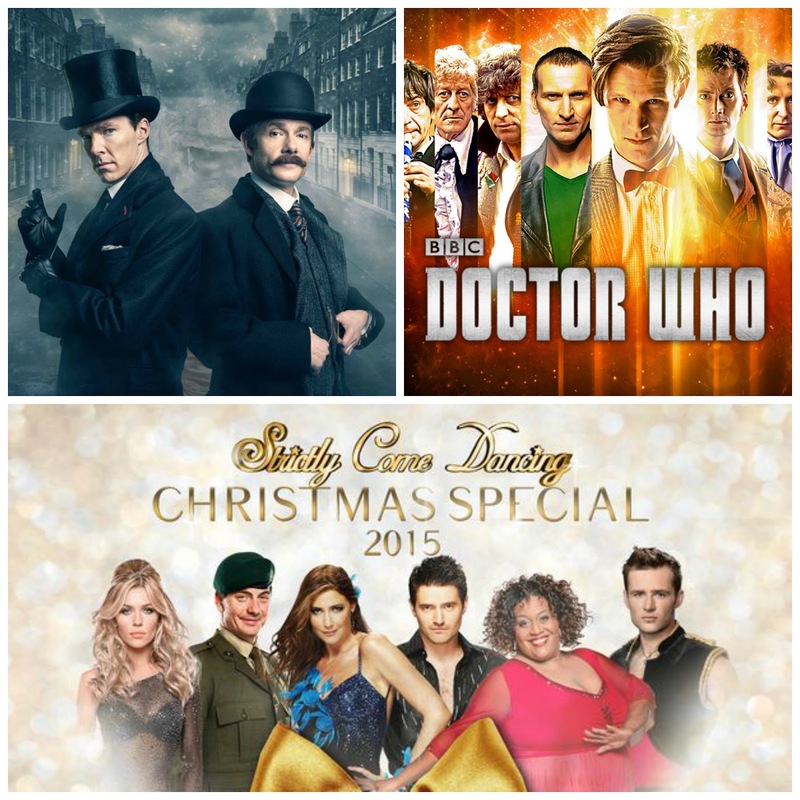 My first one is actually not a usual one though, it's the Sherlock Christmas Special and it is the first one they've done! We've been waiting for quite a while, as always, for new Sherlock and finally on January 1st our Christmas wish will come true, whatever happens I will be glued to the TV that night ready to watch! Of course if I'm going to talk about Sherlock I have to mention Doctor Who, they always do an amazing special every year and I've just started to warm to Capaldi so I'm excited to see what he brings to the table this year, of course I'm looking forward to seeing River again as well! Finally I'm looking forward to enjoying the Strictly Come Dancing Christmas Special this year, I'm a big strictly fan and I'm happy to see some of my favourites back for the special this year, it's going to be a good one I think! Let me know in the comments what you favourite Christmas films are!